Mieke Broeders addresses congress participants. Photo: City of İzmir. The 3rd Accessible Izmir Congress was realized for the third time between the dates of November 1 and 3, 2018 in İzmir, Turkey under the main theme of “New Production Models and Employment for the People with Disabilities." Expert keynote speakers, recognized on national and international levels, participated to the Congress. In addition, through posters, presentations and workshops, a fruitful and creative platform was created. A Final Declaration is to be prepared and will be declared when finalized. The first Congress was realized in 2013 with the name of “Urban Problems of Disabled People and their Solutions”. “Red Flag” implementation [an accessibility auditing scheme for tourist venues - Ed.] was the outcome of the first Congress and it still continues to be one of the first implementations in that field in Turkey. The theme of the 2nd Congress, which was realized in 2016, was “Local Policies Oriented to the Participation of Disabled People”. 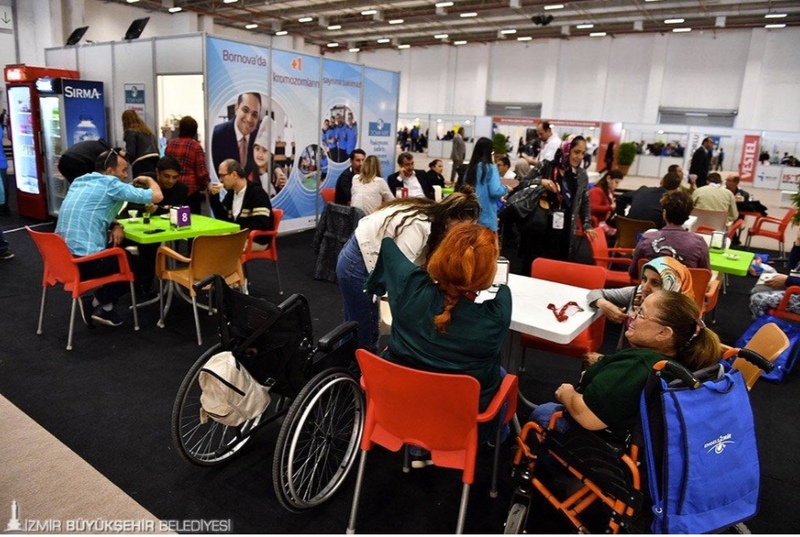 The outcome of the second Congress was the establishment of “Izmir Disability Awareness Center”. Ms. Mieke BROEDERS from ENAT (European Network for Accessible Tourism) participated in the Congress and made an inspiring presentation about policies related to the employment of people with disabilities in tourism sector. Ms. Broeders quoted, “Accessible tourism is good for everyone for people with a disability. It is a right and combats exclusion and discrimination. Only 9% of European Tourism Suppliers have accessible offers. Over 3 million tourism businesses in Europe are not prepared to cater adequately to the accessibility market. By 2020, an additional 1.2 million enterprises need to provide accessible services in order to meet forecasted demand. 2014 European Commission study highlighted that the tourism industry across Europe is missing out on up to 142 billion Euro annually. This means 3.4 million jobs for the European economy. This is due to poor infrastructure, services and attitudes towards travelers with specific access requirements. Far from being a niche sector, accessible tourism offers a huge market opportunity. " Ms. Broeders continued, "Research provides clear evidence that accessible tourism services are also better services that increase the visibility and reputation of tourism destinations and give a competitive edge to operators”. She also underlined, “Accessible tourism needs employment of people with a disability because they understand the needs, this will lead to a better service and tourism product. People with disability can create a shift in mindset in the company and manifest diversity, internal and external. They are also dedicated to local employees”. 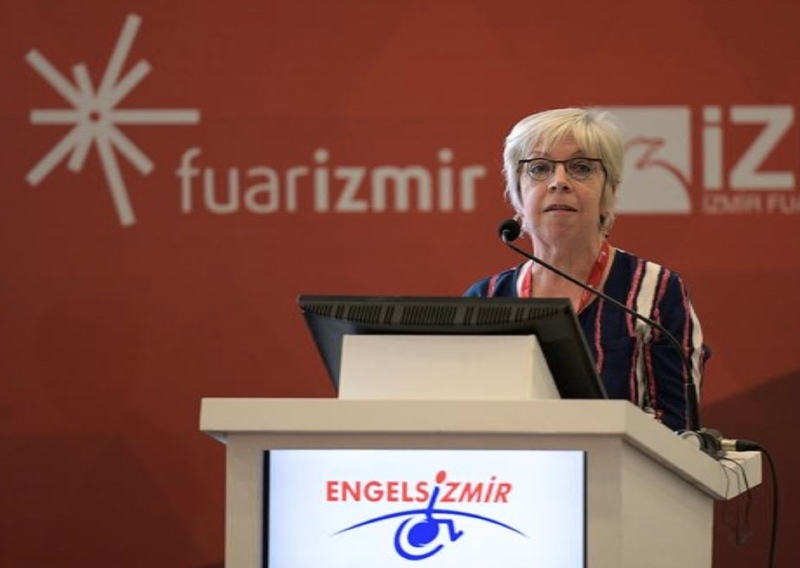 As the City of İzmir, we would like to thank to all the contributors, including ENAT on Ms. Broeder's behalf, and wish to welcome you at the 4th Accessible İzmir Congress in İzmir in 2020! Download this Press Release from the right-hand panel in PDF format (English). The Municipality of İzmir, is an Associate Member of ENAT.